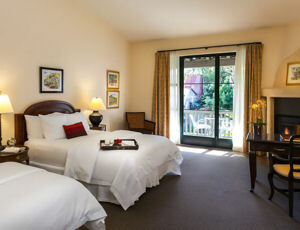 Unwind and experience the ultimate indulgence in the heart of Santa Barbara at Spanish Garden Inn! Give the perfect gift: A memorable and enchanting experience. Three day advanced notice required. 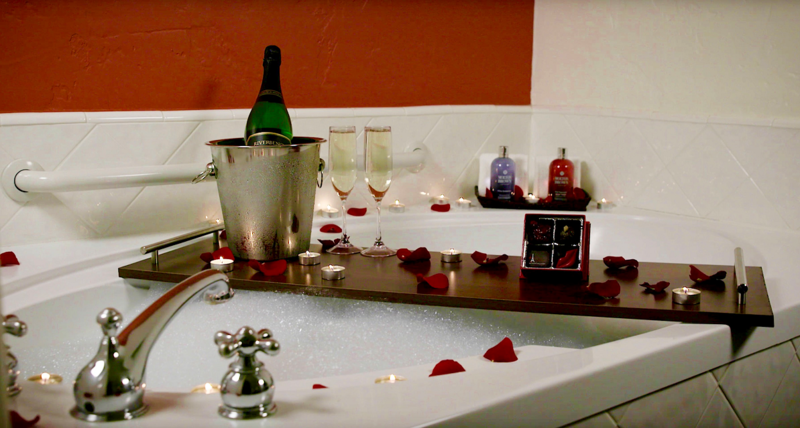 Please let us know when you will be out of the room, so we can set up and surprise your significant other with our Dulces Sueños Romance Package. 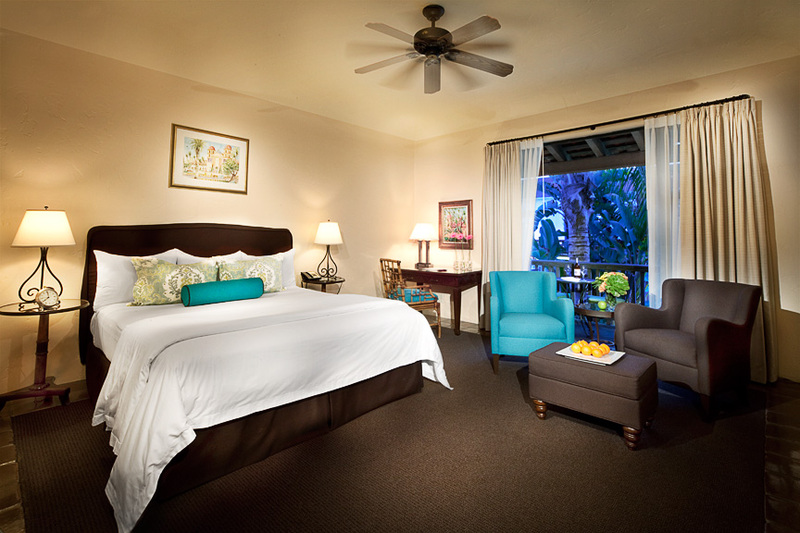 Guarantee Policy: A valid Credit Card is required to confirm your reservation. Cancellation notification must be received by 3pm Pacific Time, at least 72-hours prior to your scheduled arrival date. Any late cancellations or failure to show will result in a penalty equal to the value of one night's room and tax charges. An early departure fee in the amount of one night's room and tax may apply. Cancellation Policy: Cancellation notification must be received by 3pm Pacific Time, at least 72-hours prior to your scheduled arrival date. Any late cancellations or failure to show will result in a penalty equal to the value of one night's room and tax charges. An early departure fee in the amount of one night's room and tax may apply. Very spacious room with King bed. Comes with an attractive arched room divider separating the living and sleeping areas. 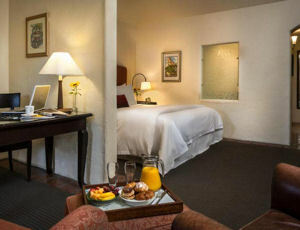 650 sq ft.
· HDTV, French Press with Coffee and Tea Amenities, In-room Safe and Original Artwork. Spacious non-smoking room with 2 Queen beds. 575 sq ft. 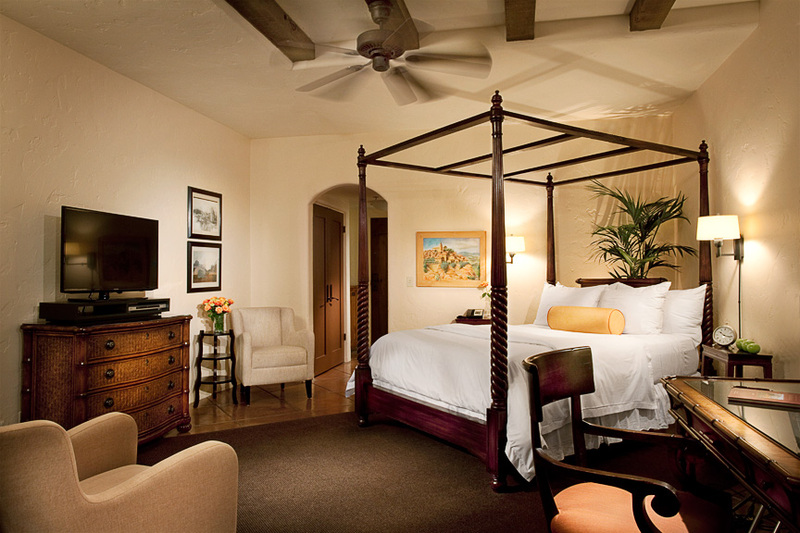 Spacious room with high four-poster Queen bed. 525 sq ft. Spacious room with King bed and separate sitting area near fireplace. 575 sq ft.